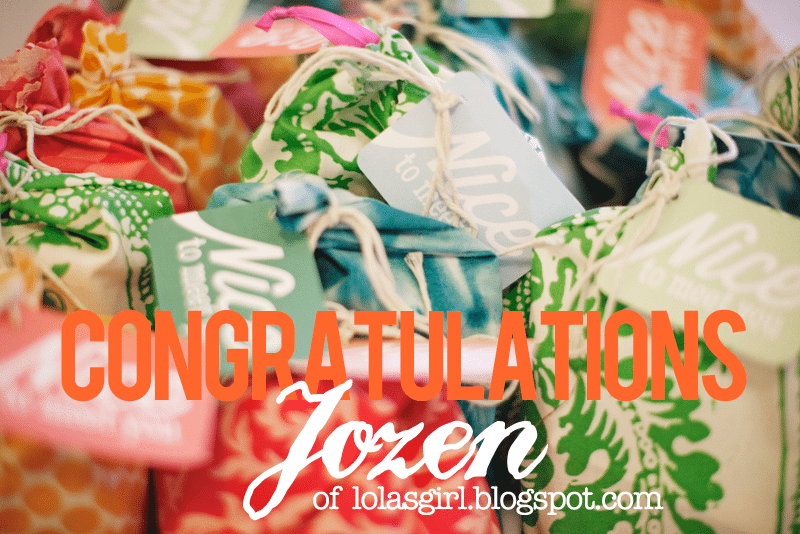 A huge congratulations to Jozen for winning the goody bag from Jenny’s awesome blogger meet and greet event! Jozen, Jenny will be in touch with details. Thanks to everyone who chimed in with love for Jenny and Lyndsey’s awesome party!